Please follow the steps below to renew your membership. 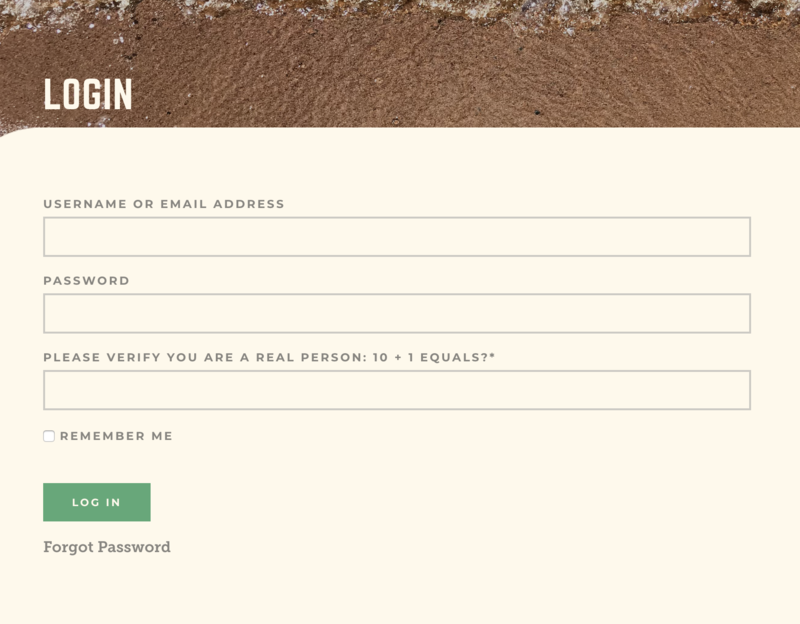 If you have already logged into your account, start with Step 3 (you will need to go to this page to begin from Step 3). 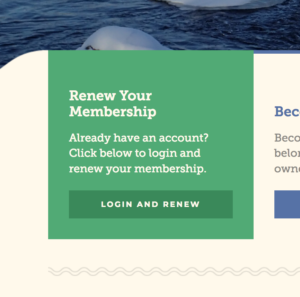 Go to the home page and find the box that says Renew Your Membership and select the Login and Renew button. You will be redirected to the Login page. Here you will be prompted for your username or email address, password, and you will need to complete the math problem. The math problem is just to verify you are a real person and not a computer or bot. Then click Log In. Once you’re logged in, you’ll be redirected to the Account page and you should see a list of your memberships (current and past). Here you can see which membership is currently active and when it is expiring or has expired. 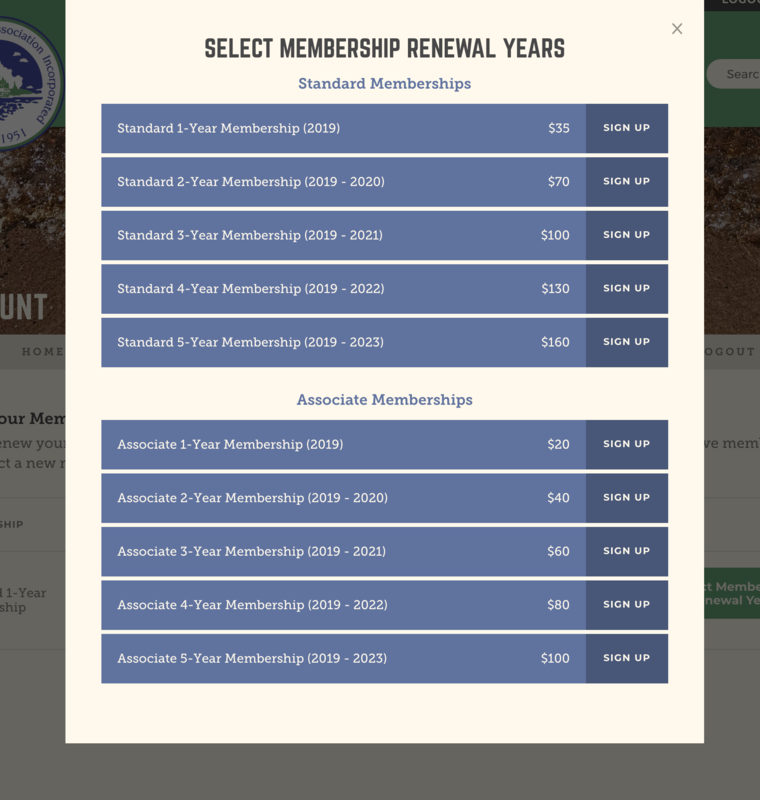 To renew your membership or select new membership years, click on the Select Membership Renewal Years green button next to the membership that is expiring or has recently expired. 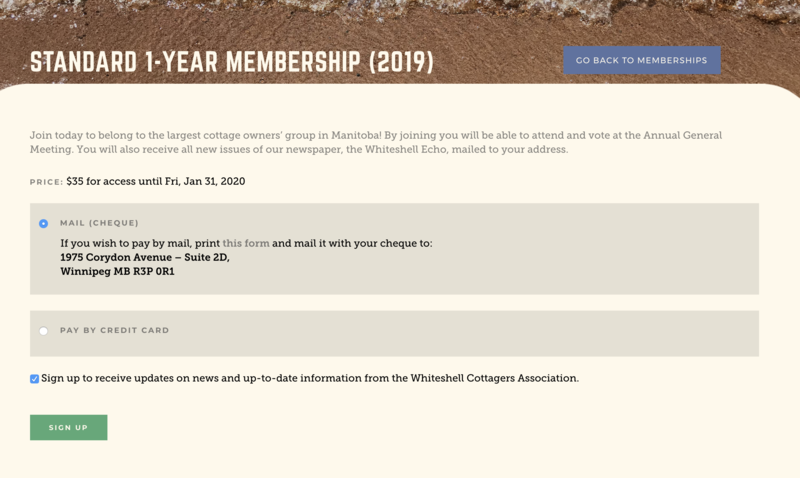 Once you click the button you will see a pop up where you can select your new membership years. Select the membership you would like to sign up for and click Sign up. You will be redirected to the page with more information on that membership including a description, the price, and payment methods. If you select Pay by Credit Card and click Sign Up you will be redirected to the PayPal page. Please note: you DO NOT NEED a PayPal account to pay for your membership. 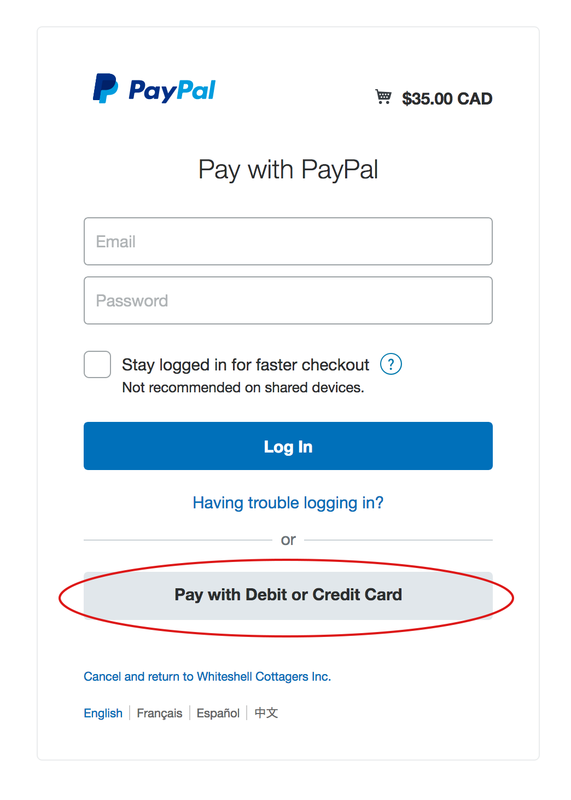 When you get to the PayPal page, click on the button that says Pay with Debit or Credit Card. From here you can put in your credit card information without creating an account. 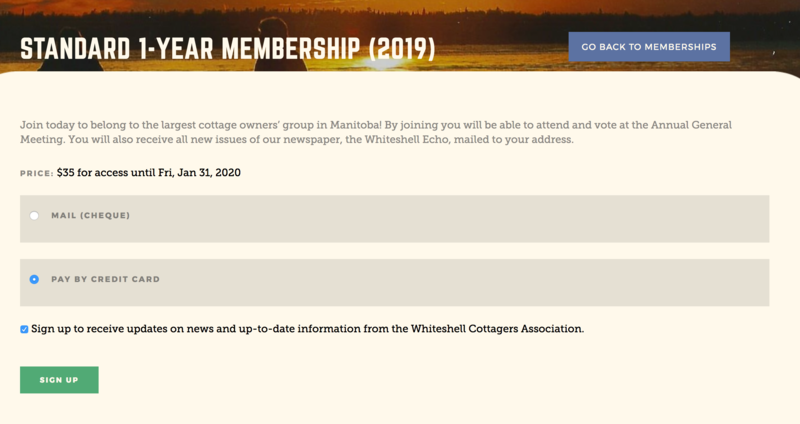 Once the payment has been processed through PayPal, you will be redirected back to the Whiteshell Cottagers Association website.